TRANSMISSION, 10-SPEED AUTOMATIC includes transmission oil cooler and (BTV) remote vehicle starter system, CHEVROLET INFOTAINMENT 3 PREMIUM SYSTEM WITH CONNECTED NAVIGATION, 8 DIAGONAL HD COLOR TOUCHSCREEN, AM/FM STEREO Bluetooth audio streaming for 2 active devices, Apple CarPlay and Android Auto capable, enhanced voice recognition, additional memory for in-vehicle apps, cloud connected personalization for select infotainment and vehicle settings. Subscription required for enhanced and connected services after trial period. VVT (455 hp [339.3 kW] @ 6000 rpm, 455 lb-ft of torque [614.3 N-m] @ 4400 rpm) (STD). 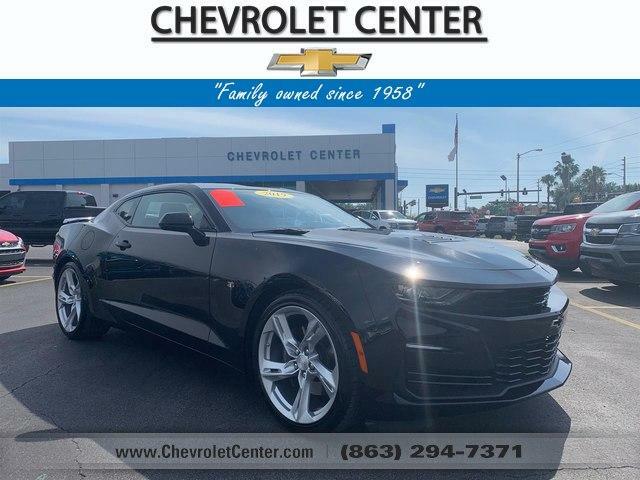 KBB.com explains If you haven't driven the Camaro in a while you're in for a surprise. The latest version of the Chevy muscle car is smaller, lighter and delivers handling more in line with what you might expect out of a European sports coupe..